New Charles Purdom film on connections page! 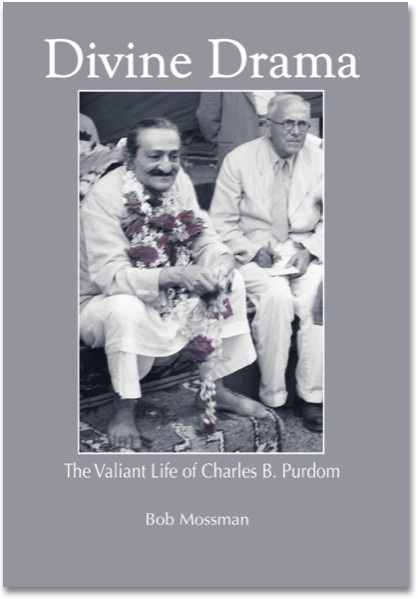 Charles B. Purdom re-defined his existence continuously throughout his life. Born in 1883, his early childhood was like a bleak Dickens novel. And, yet the young boy who worked long hours to help support his siblings and parents, willed a course continuously to bring shining moments to life. From meager beginnings, Charles would become a multi-talented individual. A founder of two model towns outside of London, a dedicated spiritual seeker, lover of Shakespeare, amateur actor, producer, director, theater critic, journalist, editor, and author. He did not abandon these dedications, but carried them throughout a rich and unfolding life. The first of 20 books he wrote in 1913 was on model towns and one of the last he wrote in 1964 was also on these utopian communities. After giving 25 years of his life directly to the model town movement, Charles life took a new course in the late 1920s. He became editor of Everyman magazine. In 1931, Charles, 47, and a father of four, met Meher Baba at a rural retreat in Devon, England, on the Spiritual Master's first visit to the Western World. This contact altered his remaining years dramatically. In 1932, after writing a delightful little personal philosophy book called A Plan of Life, Charles began a biography of Meher Baba. The Perfect Master was published in 1937. During the writing process Charles and wife Antonia lost their two oldest sons. The faith of the Purdoms helped carry them through these heartbreaking family losses. 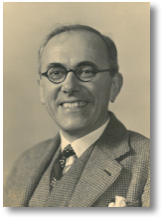 During the Second World War years, Charles worked for various government ministries, but came out of the experience with a distaste for journalism and determination to become a full-time author. The books flowed, but material success never followed in the wake of efforts. The intensity of his connection with and dedication to Meher Baba grew in the 1950s. He lived with Baba for three weeks in India in 1954 and visited him in Myrtle Beach in 1958 and again in India in 1962. Deeply immersed in the theatre throughout his life, Charles would produce eight books reflecting a deep reverence for Shakespeare. Interwoven within this was his dedicated relationship with Meher Baba. The collaboration of diaries between Charles and Malcolm Schloss would produce articles about their experience in India, which would later form the book Three Incredible Weeks with Meher Baba. The following year Charles edited Baba's Discourses into the published God to Man and Man to God. His final achievement for Baba was The God-Man, published in 1964. Charles life was a constant struggle. A large part of that struggle was evident in the many books he wrote on on Meher Baba, theatre, and model towns throughout 50 years. He would often work on two or three books simultaneously. His books were major chores of love, but the big payday never came. The pages of Divine Drama attempt to offer Charles B. Purdom as he lived. Always questioning. Grand times and faltering times. Not a carefree dance — through life. He gave so much . . .
Oceanic Publishing is a self-publishing venture created primarily for book publishing. Divine Drama follows the 2012 book Slave of Love: The Life of Dr. William Donkin with Meher Baba. Author Bob Mossman, a retired Canadian journalist, has been a follower of Meher Baba since 1967. He lives beside the sea and divides his time between Nova Scotia and South Carolina.